These plants are famously known as shamrocks or four leaf clovers but they are so much more. Read on for more info on this outstanding houseplant! 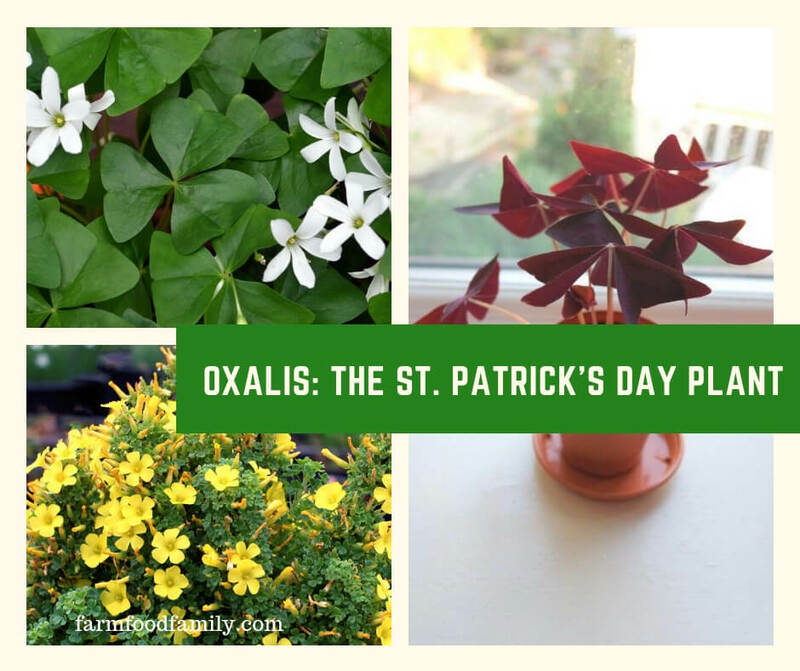 Oxalis, known best as Shamrocks or Four Leaf Clovers, are an enduring symbol of Irish pride and can be found almost anywhere during the month of March, when St. Patrick’s Day is celebrated. However, this little plant is also a beautiful and easy to grow houseplant that comes in many other varieties. Although known as an Irish symbol, Oxalis are actually natives of the mountain areas of Mexico and South America. Several hardy varieties eventually made their way to Northern Europe and North America, where it became a popular ground cover and to some, a weed. RELATED Orchid Plant Care: How Much Sunlight Does an Orchid Need? In fact it can be found in almost every lawn and green space! They grow from tiny bulbs or tubers and most display the familiar four lobed leaves, usually heart or triangular shaped. A few varieties have longer single leaves. All flower profusely with white, pink or yellow blooms. Both the flowers and the leaves close at night and will only open in sunshine. Oxalis prefer bright sunshine and moist but not wet soil. They are very happy on a sunny windowsill. In the heat of summer they will die off and go dormant, but as soon as temps drop they will reappear. They are very easy to grow -in fact if they are neglected and dry out they will go dormant, but once the dead growth is cut away and the soil watered, new sprouts will appear within days. It truly is a nearly impossible to kill houseplant. To propagate, simply divide them. Carefully dig up a small clump with bulbs attached and replant in a new container. With its three to four lobed, heart or triangular shaped leaves, this is the type that most think of as Shamrocks or Four Leaf Clover. Produces white or pink flowers. Also comes in a variety called “Irish Mist” which is a variegated version. This striking variety feaures deep purple leaves with light purplish pink flowers. This variety features the three lobed leaves of the Lucky Plant, but with twist-deep purple centers. Produces white flowers. This is an unusual variety with variegated, single leaves and profuse yellow flowers. It’s very compact and loves a sunny windowsill. Oxalis are generally problem free and are not bothered by most insect pests. As long as they are given bright sun and moist, well draining soil they will thrive in any home.